Week 3 was easy. I was going to go camping so I needed to make this week’s blocks pretty quick since I sew mainly on the weekends. I decided to do some scrap crazy blocks. I saw a pin on Pinterest that gave a simple and quick way to bust these out. It only took me 2 evenings to make 5 of these. I also wanted to share a picture of my scrap bags. I have been filling these up for 4 years! 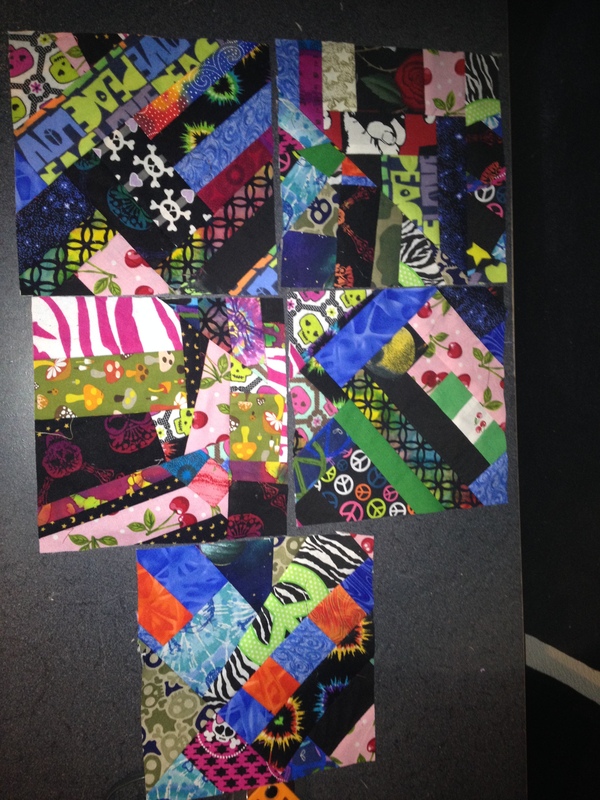 At first I made 4 big squares and sewed them together. 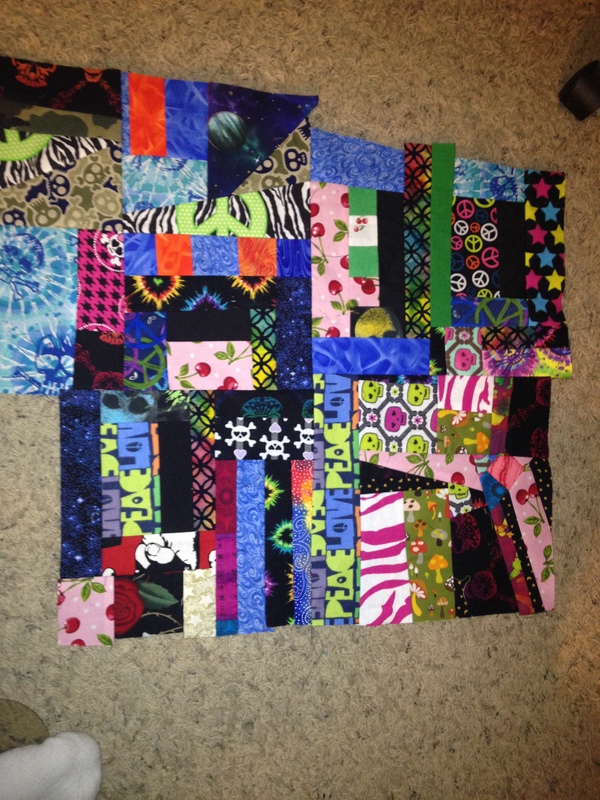 The I turned it on it’s diagonal and cut 5 8.5″ squares. I was only able to make 3 on their own and then piece the remnants together for two more. Here’s what I have so far! 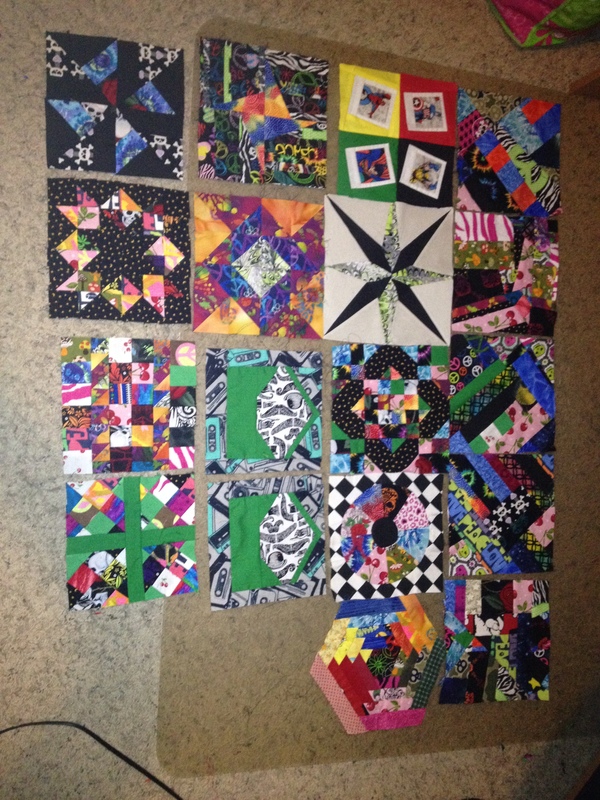 18 squares in 3 weeks!